Sleeping in your makeup is probably the worst beauty blunder who can ever commit. And yes, we have all been there at some point during our lives. We are not being judgmental but it is extremely important to take your makeup off every night before you go to bed. Your skin needs to breathe and renew itself during the night while you sleep, and failure to take off makeup acutely damages your skin, causing severe skin imperfections. Here are a few facts about why it is extremely essential for you to not sleep in makeup. The skin gets rid of toxins and renews itself at night. And makeup acts as a source of barrier that prevents the skin to work itself out. Foundation is probably the worst product to sleep in. It is extremely harmful and damaging to the skin. It can clog pores, cause acne and blackheads, and fine lines, if you do not remove it properly. Lipstick is also quite damaging. If you leave it on overnight, it will make your chapping worse and clog the pores on the skin that surrounds your lips. Also, if you’re the type who cannot live without lipstick, make sure you take it off properly at night and wear a hydrating lip balm that will help in moisturising and healing chapped lips. Eye makeup is also equally harmful. 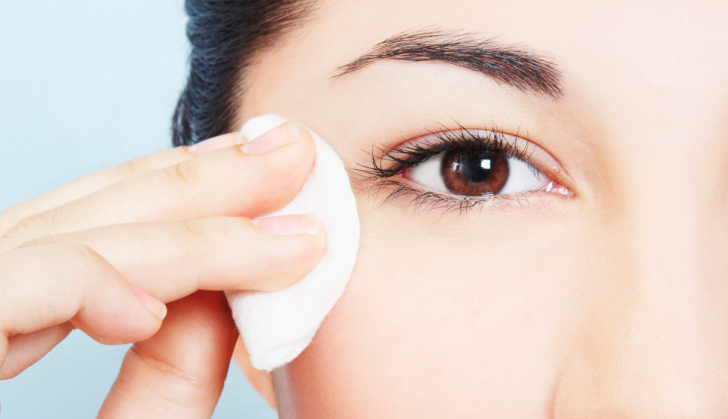 If you do not remove your mascara, eye shadow and eyeliner, it might lead to eye infections. Further more, eyelashes can become brittle and shed at a faster rate. Makeup affects every skin type differently. If you have a sensitive skin, you are more likely to get affected. People who have oily skin or acne, are more likely to see blemishes, breakouts and pimples the very next day. It is important to remove your makeup, wash your face and moisturize it before going to bed. So make it a point to take your makeup off every night before you go to bed. Trust us, this should be one of your priorities, no matter how busy you are.